Everything's gonna be okay, as long as you have sombrero. This wall decoration is perfect for a Mexican restaurant. If you are looking to redecorate and bring some life to your home, office or business, this is the sticker for you. 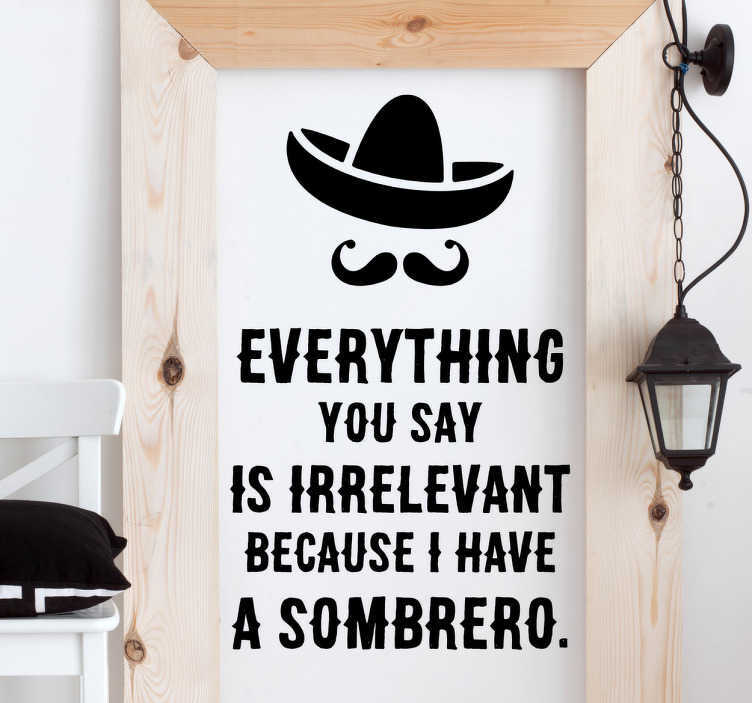 The text sticker consists of the message "Everything you say is irrelevant because I have a sombrero" with a picture of a sombrero and moustache above the text.